Why do over 3000 businesses prefer Affordable Answering Service? 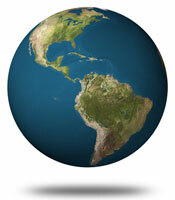 That's right; we provide answering services for more than 2500 companies around the globe. If you're looking for an affordable answering service that offers quality communication solutions then you've come to the right place. Affordable Answering Service has been providing clients with discount answering & messaging services, call center solutions, order entry service, customer care, scheduling & reservations services and virtual office solutions for more than 20 years. Our call center is staffed 24/7/365 with professionally trained U.S. agents so we are always here to take care of your clients' calls. Call Affordable Answering Service today at 1-800-645-2616 or fill out this simple form and we'll send you an information packet with no obligation. Affordable Answering Service’s live telephone answering service solutions will redefine what you expect from a telephone answering service. Request a free pricing and services packet now!